Are you looking to make more money in your business now? Maybe you’re feeling overwhelmed, stressed or stuck trying to work out how? Do you need to get clarity, focus and a steer in the right direction? I’d love to help you. Hello, I’m Jo James, a highly motivating and results-focused Business Coach and Trainer, specialising in empowering you with exactly what you need to propel your business to the next level. Giving you support, proven systems and a successful structure to significantly increase your sales, boost your confidence and grow your business. Working together, you’ll feel proud of your business and re-energised to take action on your dreams. ✓ Get crystal-clear clarity on the most effective ways for you to attract more of your ideal clients. ✓ Discover how to articulate your expertise, develop your network both online and offline and with your renewed confidence, win new business. ✓ Giving you clear Action Steps and all-important accountability to drive your business growth. Get ready to maximise those new opportunities coming your way, my clients get REAL results, fast. Are you interested in finding out how I can help you too? 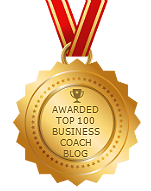 Have a look at my VIP Business Coaching Programs in London and Mastermind Groups to give you an overview of how we can work together and grow your business. From successfully coaching hundreds of creative business owners, consultants and executives over the last 8 years and from previously owning my own recruitment agency for 10 years in London, I understand how you need to stand out from the crowd, get support when you need it, and take action to achieve your dreams. What do you want to achieve next? I’d love to help you make it happen and significantly increase your sales. Since working with Jo James I have consistently increased my income each quarter and tripled my annual revenue to a six-figure business. I loved how Jo structured a plan for me to work towards. Sometimes life gets a little chaotic, and when it did, I was able to refer to the plan and get back on track to achieving my goals. I’ve had my best year yet” Result! I recommend Jo James to any Solopreneur wanting to get clarity and the answers to create a six-figure business. Before I met Jo I was a wandering creative who was finding it incredibly hard to be motivated and inspired about the art of business. The 1:1 sessions I have with her enable me to be focused, organised and goal orientated and be open to opportunities that before I might have missed. Jo has helped me achieve new heights in my business and I’ve increased my sales by 45% for two consecutive years now and attribute that success to Jo helping me to plan and see what needed to be achieved, instead of aimlessly going from month to month hoping for the best! Jo is great to work with and she lights up a room with her charismatic bubbly personality and is always upbeat and positive. Before I started working with Jo, I was already doing well in my private practice, but Government imposed changes in our healthcare sector brought with it a mammoth leap in costs. Jo helped me achieve my goal of being maximally booked with clients, in under six months, which is staggering when you consider that growth in my sector is actually contracting not expanding for most clinicians. Being part of the Mastermind group has made all the difference in the world. There is a wonderful sense of community and accountability, and we can share ideas and problem solve together, all with Jo’s fabulous direction. Joining Jo James’ Mastermind group is the single best business decision I have ever made, besides starting a business of my own. Do yourself a favour, and make the decision to join too. Relax over a couple of cocktails, while I make the introductions, so everyone will get to know you and your expertise. Contacts are shared, it works a treat! Who do you need to meet? Come and tell me. March 13th, 2019|Comments Off on What impact do women have on the world of technology? I’d love to help you make it happen.